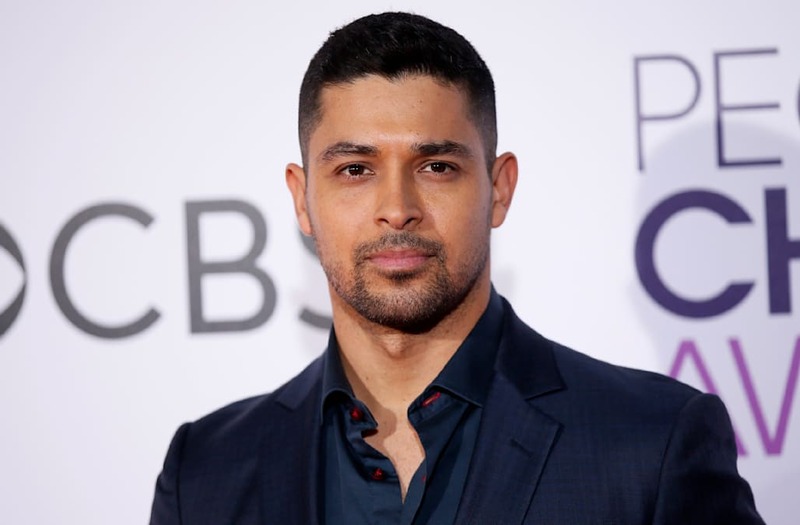 Wilmer Valderrama had a new brunette beauty by his side on Monday night -- but she might look a little familiar to some Beliebers. The 37-year-old actor was spotted with the 23-year-old beauty and fashion video blogger, Chantel Jeffries, outside of TAO in Los Angeles, California, on Monday night, and they shared a similar color scheme when it came to their outfits. Jeffries wore a cleavage-baring black top that she paired with faded black denim, leopard-print boots and a newsboy hat. As for Valderrama, he wore a black printed T-shirt, along with faded gray-black jeans and boots. Back in 2014, Jeffries was romantically linked to Justin Bieber when she joined 23-year-old singer on vacation in Panama Beach, Florida, after he was arrested and released in Miami. Jeffries later released a statement addressing the media's newfound interest in her personal life, but did not mention Bieber by name. Wilmer Valderamma enjoys a taste of Johnnie Walker Blue label! "I am a full time student who had enjoyed a normal lifestyle, free from public scrutiny and criticism, until now. What has happened to me is wrong," she said. "I want people in general, and the media in particular, to consider the impact their disparaging comments have on the individual; especially when their comments are inaccurate." As for Valderrama, he has dated several celebrities, including Lindsay Lohan, Mandy Moore, and most recently, Demi Lovato. The That '70s Show star and the 24-year-old pop star called it quits in June 2016, but happily reunited at a LGBTQ pride party in West Hollywood, California, a year after their breakup. "Best of friends no matter what," Lovato captioned a photo of herself with her ex-boyfriend. When ET caught up with Valderrama last October, he too had nothing but kind words for the "Cool for the Summer" singer, gushing, "Honestly, I only wish nothing but the most incredible things for her."